Is there anything in your life that you regret doing or not doing? Be Honest! Most people if they are honest have regrets around some of the choices they've made or failed to make. But living in a state of regret is no way to live because it robs you of the present and it creates anxiety around your future. All you can do is move forward and ask yourself this question: Knowing what I now know, what can I do to make the most of my life now and are there any steps that i can take now to create a better future? So many people miss out on the best years of their lives because they spend so much time living in a state of regret. They mentally replay all of the missed opportunities, short-sighted choices they made and live in a constant state of hindsight where they are always saying things like… If I could only have a chance to do it all over again. This type of thinking will make you a victim of Woulda, Coulda and Shoulda. If we are honest, we all have things in our lives that we wish we would have done differently, but since we cannot go back in time and re-do the parts of our lives that we are not pleased with or undo a choice that we are not proud of, all we can do is learn from our mistakes and do the best we can today. The book of Philippians tells us to… Forget what lies behind and strain forward to what lies ahead. The reason why it’s so important for us to embrace the Biblical wisdom of forgetting what lies behind is so that we don’t live our lives from a continual place of regret. We cannot undo the past, but we can press forward toward the future with hope, lessons learned and resilience. Do the best you can today, because in the end that is all you can do. 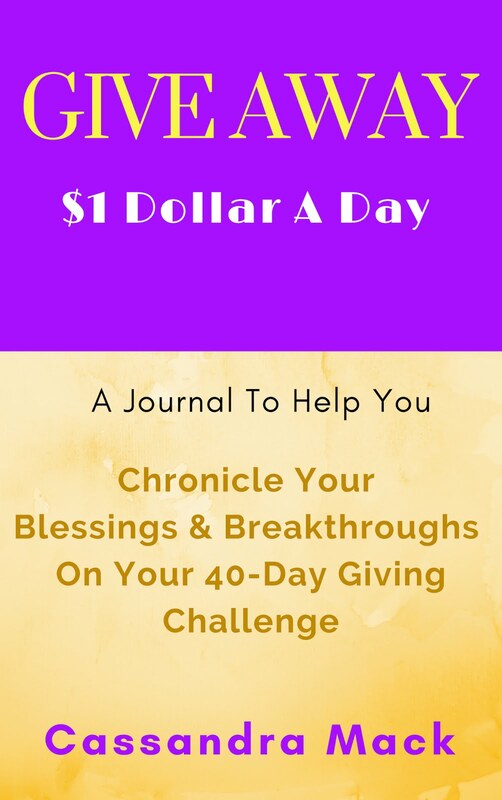 FASTING with The Soul Fast Workbook: Take at least 15-minutes today to renew your mind and fast from negative thinking by intentionally taking your thoughts captive as you complete your journal entry for (DAY 22 in the, Soul Fast Workbook.